Perth, Sep 28, 2012 (Global Fashion Wire) - Urban Couture is a month long program of events that provide a platform for Western Australian fashion creatives and beyond. 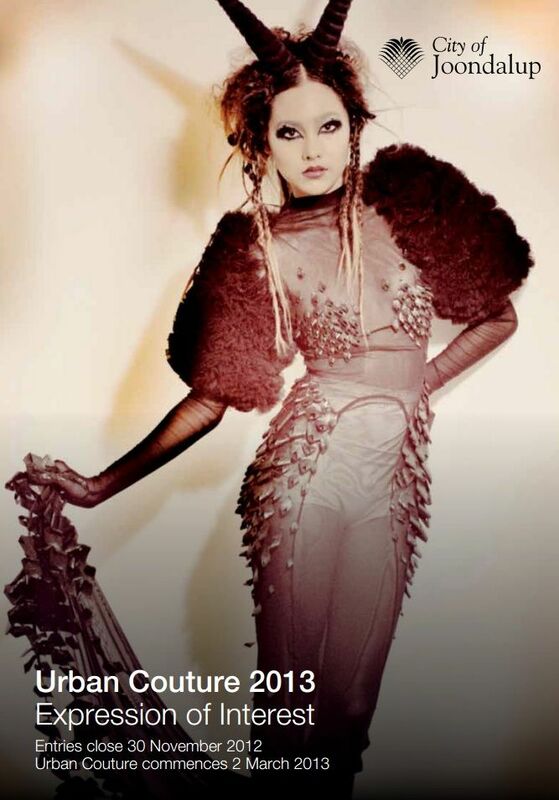 Urban Couture is about transforming unconventional spaces into popular fashion happenings. Now in its third year, Urban Couture is a key feature of the Joondalup Festival and brings together fashion designers, hair and makeup stylists, textile artists, runway models and fashion photographers. Showcasing Western Australian fashion creatives to Perth's northern metropolis, Urban Couture reaches new audiences and offers new opportunities for all involved. The 2012 program was an overwhelming success, supporting over 200 individual fashion creatives and attracting more than 50,000 visitors. Expect exciting developments for 2013 with announcements to be made soon. The City is looking for fashion designers, textile artists, fashion photographers, runway models, hair and makeup stylists and backstage stylists to join forces in the 2013 event. If you are interested in being a part of the above events, you will need to complete an expression of interest form. See the category headings for links to the online expression of interest forms. Option 1) The Aperture & Lace exhibition will display a collection of fashion pieces with an artistic edge from textile artists and fashion designers. Works may include clothing, jewellery, accessories, footwear or headpieces. 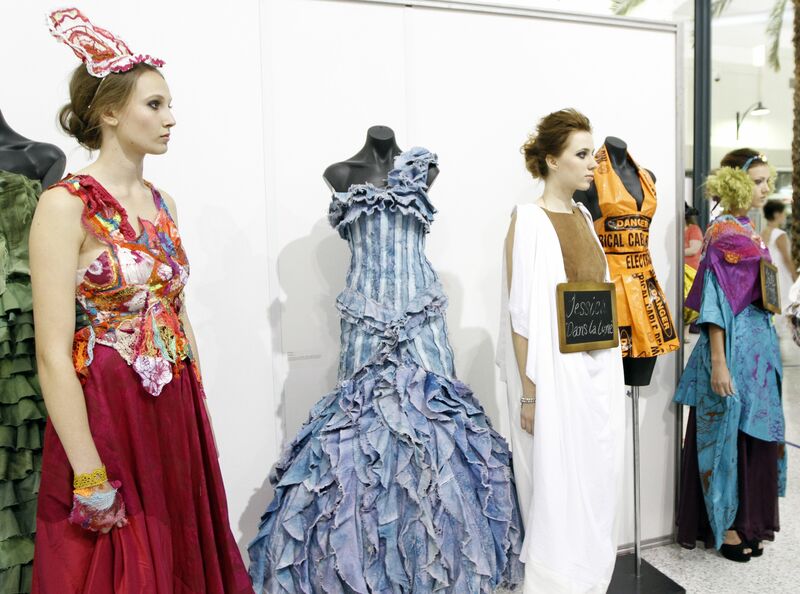 Focussing on the concept of avant garde, designers are invited to submit fashion pieces for display in the collection. Participants are given the opportunity to exhibit their works in a gallery space and a prize pool of $1,500 will be offered for outstanding designs. Interested designers and artists must read the Terms and Conditions, complete the online expression of interest form and send a high resolution image of the completed work to the Prinicpal Events Officer at Kelly Price (Details below). For large files, please email via YouSendIt with title of work clearly labelled. Option 2) The Wearable Art Runway is traditionally the most coveted fashion show in the Urban Couture program. The show features a selection of costume couture designers with no boundaries. An esteemed judging panel will select one outstanding design to be awarded the $1,000 cash prize. Interested designers must read the Terms and Conditions, complete the online expression of interest form and send a high resolution image of the completed work to the Prinicpal Events Officer Kelly Price (Details below). For large files, please email via YouSendIt with title of work clearly labelled. Note: Individual wearable art pieces may be entered for both the exhibition and runway. Pop up runways will be appearing across the northern metropolis throughout March and culminating with a full programme in the 2013 Joondalup Festival. Designers are invited to submit collections for pop up runways to be presented to large audiences. Designers need not be Western Australian residents so long as they have WA stockists. Interested designers must read the Terms and Conditions, complete the online expression of interest form and send their look books to the Prinicpal Events Officer Kelly Price (Details below). 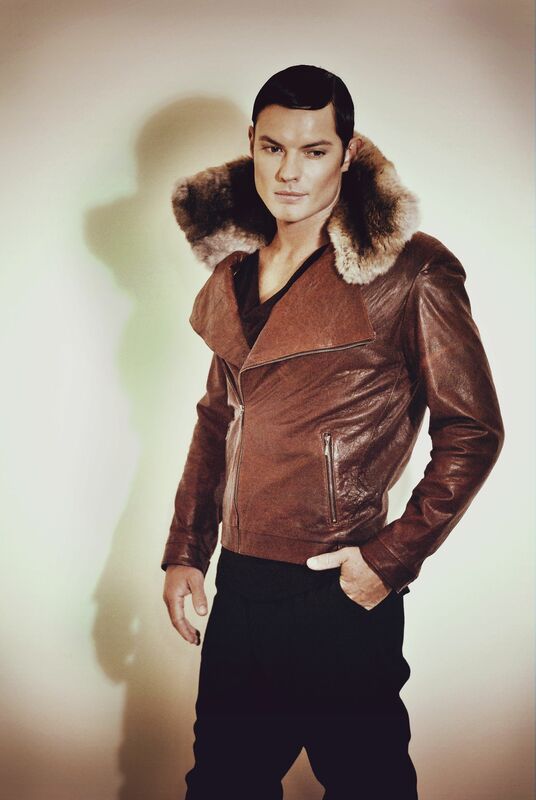 Look books must contain images of each look in runway order and model size requirements underneath each look. Separate high resolution jpeg images of your label may also be submitted for selection purposes. For large files, please email via YouSendIt with collection name clearly labelled. The Aperture & Lace exhibition will display a collection of photographic images celebrating Western Australian designers and models. Photographers are invited to submit their works for display in the collection. Participants are given the opportunity to exhibit their works in a gallery space. A prize pool of $1,500 will be offered for outstanding photographs. Interested photographers must read the Terms and Conditions, complete the online expression of interest form and send high resolution versions of entered works in jpeg or tiff format on disc marked for the attention of the Prinicpal Events Officer at City of Joondalup, PO Box 21, JOONDALUP WA 6919. Models are required for pop up runway shows featuring collections from national designers. Work is voluntary and models are given the opportunity to showcase their talents to an audience of thousands plus receive photographs for their portfolio. Models must be over 14 years of age and prepared to sign a Model Release Form. Interested models must complete the online expression of interest form and send portfolio images to the Prinicpal Events Officer Kelly Price (Details below). If you are an agency and would like to represent your models, please send portfolios including model measurements to (kelly.price@joondalup.wa.gov.au). For large files, please email via YouSendIt with model name clearly labelled. The City is looking for hair stylists, makeup stylists and personal stylists to support our backstage team. Payment is negotiable and stylists must provide their own products and styling equipment. If you are interested in joining the backstage team, please complete the online expression of interest form and send examples of your work to the Principal Events Officer at (kelly.price@joondalup.wa.gov.au). For large files, please email via YouSendIt with stylist name clearly labelled. EXPRESSIONS OF INTEREST INCLUDING SUPPORT MATERIALS MUST BE RECEIVED BY 30 NOVEMBER 2012. PLEASE NOTE THAT PLACES ARE LIMITED. Further information regarding Urban Couture will be forwarded on confirmation of participation.